It’s been four years since Nico’s older sister Sarah mysteriously disappeared on her way to the park to meet her boyfriend. Despite intensive investigation and dozens of dead-end leads, the police have no clue what happened to Sarah. But deep down—beneath the natural grief of losing a sibling—Nico is relieved to be free of Sarah’s constant taunts and insults and malicious remarks. In fact, when Nico admits it, she enjoys being an only child. At last Nico’s parents get the call they always hoped would come: Sarah has turned up at a shelter in Florida. Now 19, she remembers her name but nothing about the past four years. Photos of the skinny, traumatized girl with retrograde amnesia match Sarah’s photos, and police believe that it is indeed Sarah. Nico and her parents believe it as well, and fly to Florida to bring her home. But the girl they bring home is not the sister Nico remembers. It’s not just how thin and quiet Sarah has become—her entire personality seems changed. She’s timid and hesitant rather than bold and driven; she’s kind to Nico instead of verbally abusive; she hates her old clothes—very nice fashionable clothes. She can’t play tennis like the old Sarah could. She’s great at math like the old Sarah wasn’t. The small discrepancies go on and on. Nico begins to suspect that things are not what they seem, that something is very wrong. She knows it subconsciously, but keeps shoving the thought out of her mind. It’s not until Sarah’s former best friend Paula comes right out and says, “She’s not Sarah,” that Nico admits to herself: the girl is not her sister. “So who is that girl living in your house?” Paula asks. But Nico doesn’t know. Billed as Gone Girl for teens, the story may be too dark and twisted for those under 15. Sarah endured years of near starvation and cruel torture, suffering a broken arm, numerous beatings, dozens of cigarette burns on her body—and worse. We learn what happened to her through a series of flashbacks—or what happened to the girl we thought was Sarah. But what really makes up a happy family? Is it more than DNA? Isn’t it people who love and respect one another? Nico and Sarah are happy. Mom and Dad are happy. Even Grandma is happy. Doesn’t that make them a family? 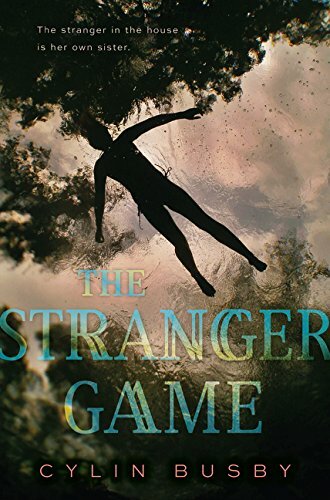 The Stranger Game takes readers on a stomach-wrenching roller coaster ride, climbing and plunging into the ups and downs of Nico and Sarah’s past and present while we hang on tight, navigating the curves, trying to comprehend the truth. Well written and populated by engaging characters, this story will hold you until the very last page. In fact, it’s one of those rare novels that doesn’t let you go, even when you finish it.